Amy has been a part of the MHNS staff since 2003, starting as assistant to the director, moving up to Co-Director, and then assuming the helm as Director in 2014. She is a graduate of the University of Maryland, with a BA in English Literature and a MA in Higher Education Administration and Counseling. Amy loves spending time with her husband, Fritz, and her children, Maddie and Eric (both MHNS alumni!). She is an avid reader, loves cooking, needlepoint, and being on the beach. She is devoted to the families and staff at Mt. 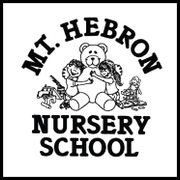 Hebron and is proud of the children who have started their educational journey at the school. Kelly was a volunteer at MHNS for 5 years then joined our staff support team in 2017. In 2018 she became our office manager. She holds a Bachelor of Arts in Business Management form Gettysburg College. Kelly and her husband Trevor have 2 children, Hayden and Max, both MHNS alums. Kelly enjoys running, exercising, reading and traveling, especially to the beach! Marielena has taught at MHNS since 1999. Before joining our team she taught in the Charlotte Mecklenburg school system and various preschool programs. She has a BA in English and Education from the University of North Carolina at Charlotte and holds a current Maryland Teaching Certificate. Marielena is married to Steve and has two sons. She loves reading, cooking, classic design, children's literature and music. Laurie started as a lead 5-day 4 year old teacher in 2013 but has been associated with MHNS for many years. Her youngest son attended MHNS. 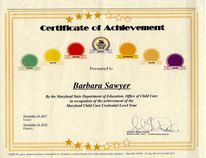 She taught kindergarten for 11 years in Baltimore County Public Schools and substituted in Howard County Public Schools. 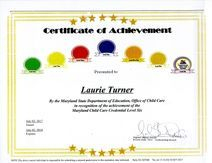 Laurie holds an AA from Villa Julie College and both a BS and MS in Early Childhood Education from Towson State University. She has been married to Bob since 1989 and has three sons. Laurie enjoys biking, tennis, gardening and spending time with her family. While Susan's children attended our school, she worked as a substitute, room mom and Spring Fair Chair for many years. She has also been a substitute teacher in Howard County, MD. Before moving to Maryland with her family, she taught in Falls Church City, VA as a 3rd grade teacher. There she also helped develop a curriculum to bring Spanish foreign language instruction to the elementary age level in the school system. Susan holds a BS, double major in Spanish and Accounting from the University of Virginia. She also has an M.Ed. in Elementary Education from Marymount University and is currently certified in Maryland in the areas of Early Childhood Education, Elementary Education and Spanish. Susan is married to her college sweetheart, Kyle, and has three children, Kurt, Eric and Brian, who are all MHNS alums! Susan enjoys any activity that includes her family, running, cooking and reading. Kim has been teaching at MHNS for several years and has a daughter who is an MHNS Alum! She has over ten years teaching experience in grades Pre K-5. Kim holds a degree in Elementary Education N-6 from New York University and has a 90-hour Early Childhood Certification from Baltimore Hebrew University. She is married with two children, ages 8 and 11. Kim loves spending time with her family, watching her children play soccer and reading. Molly has sixteen years of experience in Early Childhood education. She has taught in our 2-day and 3-day 3 year old programs for thirteen of those years at MHNS. She was also a teacher in the Wilkes-Barre Area School District in Pennsylvania for three years. She holds a BS in Special Education from King's College-PA. Molly is married and has three daughters. Her youngest daughter is an MHNS Alum. 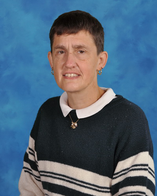 Mary began at MHNS as a teacher's assistant in the 2-day 3 and 3-day 3s classes in 2006. She then became a lead teacher and has worked at MHNS ever since. She began teaching in the Montgomery County Public School System in 1993. Mary holds a BS in Elementary Education from the University of Maryland as well as an MS in Education from Johns Hopkins University. She holds a current Maryland State Teaching Certificate. 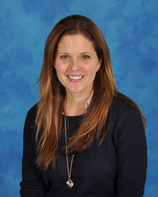 Cassie began her teaching career as an assistant teacher in a pre-school in Connecticut. 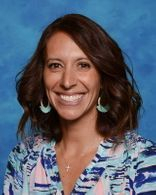 She has since taught K-5 for 13 years in Hawaii, Oklahoma, North Carolina and Connecticut. Additionally, she was an intervention specialist for 3 years for grades K-5, also in Connecticut. 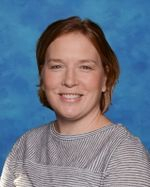 Cassie holds a BS in Elementary Educations and an MS in Education, specializing in Multicultural Teaching from the Iona College of New Rochelle in New York. Cassie is married with 4 boys, 3 of which have attended MHNS. Cassie enjoys working out, cooking and anything involving sun and sand! 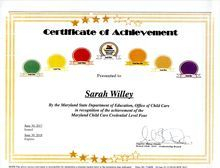 Sarah has worked at MHNS since 2014 and helped institute the 2 year old program. Sarah spent four years as a parent at MHNS, and both of her children attended our school. She was also an active volunteer and substitute teacher before joining the staff. She holds a BA from Randolph Macon College in Ashland, VA. Sarah enjoys refinishing furniture, reading, and traveling with her family. After spending many years as a parent and volunteer, Karen began teaching at MHNS in 2015. All four of her children are MHNS alumni! Karen was a teacher to 3-5 year olds at the Columbia Montessori School as well as 2nd and 1st grade in the Howard County School System. She holds a BA in Psychology from the University of Maryland Baltimore County (UMBC) and a teaching certificate as well as a Masters of Arts in Teaching from Towson University. Karen has been married to her husband Bob for 17 years. She enjoys watching her kids play sports, going to the beach with her family, running and reading. Andrea has spent 2 years as a parent of a student at MHNS. 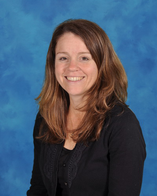 She was also a member of the MHNS Parent Group Board and Chairperson of games for our Annual Spring Fair for 2 years. Andrea has also worked as a substitute teacher throught the last several years at MHNS. Andrea was a 1st and 2nd grade teacher for 12 years in the classroom and was also a Reading Reduction teacher and substitue teacher for Howard County Public Schools. 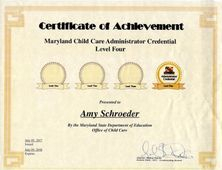 She holds a BA in Early Childhood Education from Towson and a Masters in Reading from Walden Univerisity. Andrea and her husband Todd have 2 children in elementary school and a dog named Benny. She loves reading, movies, cooking and going out to eat, walking and activities with her family. Melissa served as the Parent Group Board President at MHNS for 3 years. All of her children are MHNS alums. Not only has Melissa been an active volunteer at the school for over eight years, she has also been a substitute teacher. 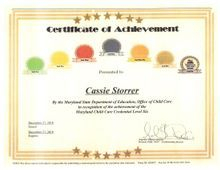 She holds a BA in Psychology from UMBC, a Maryland Teaching Certification K-8, an MA from the School of Counseling at John's Hopkins and an Administration and Supervision Certification from Loyola College. Melissa is married to Andy, an engineer at JHU APL. She is a mom of four, Andrew, Mary, Matthew and Aiden. She loves to read, going to the beach and spending time with her family. Anne has had three children attend MHNS, and was a regular volunteer here, including co-chairing the Annual Spring Fair for many years. She is now an assistant in the 5-day 4s class. 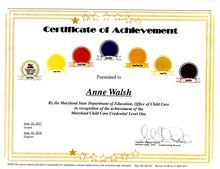 Anne holds a BA in English from Washington & Lee University and an MA in English from the University of Maryland. Anne and her husband have three children, Lucy, Gracie and Asher. They also have two Boston Terriors, Stella and Sophie. Anne enjoys reading, walking, gardening, volunteering at her daughter's dance studio and anything related to Boston Terriers and dog rescue in general. Val has been an assistant teacher at MHNS since 1989. She has taught three year olds in our 2-day program, four year olds in our 3-day program as well as the four year olds in the 5-day program and has tought Bridge Class. She has 90 hours of credit in early childhood education. Val is married with two children, Lissa and Christopher who are both alumni of MHNS! She loves the beach, music and enjoying life as much as possible. Janel has been an assistant teacher at MHNS since 2010. She holds a BS in Nutrition from Montclair State University-NJ and has her 90-hour Child Care Certification. Janel and her husband Richard were married in 2000 and have a daughter, Madison born in 2002, and son, Andrew born in 2004, who both went to MHNS. Janel likes reading, walking and jogging, spending time with the family and going to the beach during the summer with family and friends. Barbara has been working at MHNS since 2010, and all of her children are MHNS Alums! 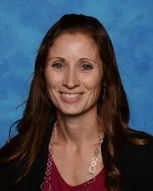 She has worked as an assistant teacher as well as an Enrichment, Substitute and P.E. teacher. She has also worked as a Substitute Teacher at various Howard County Schools for five years. She holds a BS in Economics and Business from Mount Saint Mary's University and has her 90-hour Child Care Certification. Barbara is married to Mike and has three children, Mikey, Caitlin and Jack. She enjoys reading, Pilates, walking her two beloved dogs, Charlie and Stewie, and watching her children play sports. Michelle has been a Room Parent and volunteer at MHNS for the last 4 years. She will be joining our team this year as an assistant teacher. Michelle holds a BA in Communications from American University. Michelle and her husband Doug have three children. Their two daughters Avery and Harper are MHNS Alumni, and their son Everett will be attending as a student this year. She also has two cats, Buzz and Woody. Michelle loves spending time with her family, traveling, going to the beach and running. Terry worked at MHNS as a substitute teacher and has since been assistant teaching since 2009. She has also worked at Ken Crest Preschool in Pennsylvania. Terry holds a BS in Speech and Language Therapy from Penn State University. She is married and has two children, both MHNS Alumni. She likes to read, exercise and go on vacations with her family. Lindsay grew up in Howard County and is excited to join the MHNS team. Lindsay has taught 1st and 5th grade and was also a Reading Specialist K-5 for 3 years. 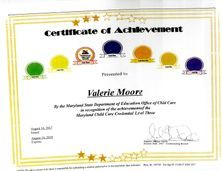 She holds a degree in Elementary Education from Towson University and a Master's Degree from McDaniel College, in Reading. Lindsay is happily married with four children. She loves traveling with her family, running, sports, coaching, teaching and reading. Sarah came to Mt. Hebron in 1984 with an AA degree in general studies and 64 hours of Early Childhood Certification. 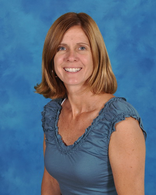 Sarah has worked extensively in the classroom as a teacher assistant in all 3 and 4 year old programs, from 1984 to 2008. 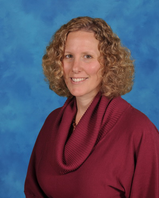 In the fall of 2008, Sarah began working effectively as classroom support to our staff. 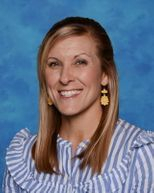 She can be found in any of the classrooms on an as needed basis working as a substitute, working one-on-one with children as well as in small groups, assisting in the office and, preparing materials for teachers. Because of her vast experience she is seamlessly able to connect with the children, and you can expect that she will come to know them as they will her. Aimee came to Mt. Hebron in 2013 when her youngest of three children William began attending the 3 day program. After volunteering continuously for any position available it became apparent that her love of children and nurturing attitude would be a natural fit. As a mother of three (Zachary, Cecilia and William) she has years of on the job training. After attending Broome Community College in Binghamton, NY for Business Management she and her husband moved to Gainesville, Georgia for 5 years before finally settling in Ellicott City in 2011. 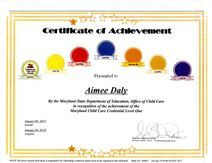 Aimee has been married to Matt since 2001 and enjoys reading, volunteering, and anything having to do with children. 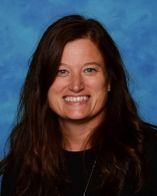 Aimee finds joy in connecting with children and can’t wait to watch them learn and grow while at Mount Hebron. Karen was very involved in her girls' preschool experience for six years, both in the classroom and on the executive board, and is looking forward to being back in a nursery school setting. Karen was a second grade teacher for Montgomery County Public Schools before she became a stay at home mom and she currently subs for HCPSS. Karen has a BBA from James Madison University and a BS in Elementary Education from University of Maryland. She is happily married to Kevin and they have two daughters, Megan and Allison. When she is not chauffeuring her girls to their activities, Karen enjoys reading, trying new recipes and taking walks with their lab, Camden. Laura has been a proud MHNS parent since 2014 and counting! She has volunteered for various Parent Group activities as well as served as a Room Mom for 2 years. Laura holds a Bachelor of Science Degree in Elementary Education from Salisbury. 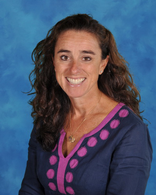 Before joining the team at MHNS she taught Kindergarten and 3rd grade for several years at McDonough School. Laura has also taught Religious Education for Kindergarten at St. Louis School. Laura and her husband Michael have 3 children, Josh and Rosie both MHNS Alumni and Timothy who will be attending MHNS this year. Laura enjoys traveling to the beach, all things Disney, especially traveling to Walt Disney World, cooking and baking. She also enjoys being involved and volunteering at church. Jennifer has been a parent and active volunteer at MHNS since 2016. 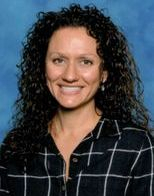 Jennifer taught ESOL for Pre-K in Montgomery County and holds a Master's Degree in Curriculum and Instruction in Elementary Education, from the University of Maryland. Jennifer is married to a firefighter and has 4 children, 3 of which are MHNS Alumni! Jennifer loves running, swimming, biking, spending time with her family, reading and taking pictures.